Q-Link® pendants and bracelets are magical jewelry said to neutralize the harmful stress effects of electromagnetic fields [EMF] from computers, cell phones, and other electronic devices. * The makers and sellers of the Q-Link jewelry want you to believe that EMF is an "invisible cause of stress and fatigue. "* (Try to disprove that claim!) These gizmos are magical because, according to their inventors, they don't use electronic components "in a conventional electronic way." According to conventional electronics, these talismans should not neutralize anything except one's wallet. It has a circuit board that isn't connected to anything, so it doesn't really make a circuit. It has eight copper pads that are not connected to anything. Soldered to its center is a zero-ohm resistor that is not connected to anything. This is simply a resistor that has pretty much no resistance: in effect a bit of wire in a tiny box. It might sound like an absurd component, but they're quite common in modern circuits, because they can be used to bridge the gap between adjacent tracks on a circuit board with a standard-size component. In short, "zero-ohm resistor" is the name of a piece of wire, not a description of an electronic part. The electronic components for the device can be bought for pennies. What powers these magical protectors? It is claimed that the wearer provides the power by energizing it somehow with mysterious "body frequencies" or from the heartbeat. ...a wide range of benefits that have enhanced their quality of life. People have also reported a reduction in the effects from exposure to mobile phones, computers, air travel and all forms of EMF. Many have experienced fewer headaches and an overall increase in energy levels. Others say they feel better with more mental clarity and focus, better sleep and less anxiety. Several world class athletes report that the Q-Link improves their mental focus and endurance, giving them a significant competitive edge. I stopped cutting and pasting from this ad when the webmaster started exaggerating and telling lies about scientific studies being done at Stanford University, University of California at Irvine, Imperial College, London, University of Wollongong (Australia), and the University of Vienna's Institute of Cancer. It would be very difficult to do studies on this device, since, according to those hawking it, it works by a kind a energy that we don't know how to measure yet. Of course it has something to do with quantum physics. The gizmo works by "Sympathetic Resonance Technology." These folks even have a trademark for their technology. "SRT™ was developed after years of research into a new class of energies called subtle or fundamental energy," they say. They claim that "subtle energy refers to a physical energy, such as electromagnetic or acoustic, that is of such low intensity that we have no means of measuring it presently. It is a physical field of very low magnitude." In fact, you can't get much lower than the Q-Link folks have stooped. They don't need to connect any of the electronic parts of their device because they have programmed it with SRT™, which might well be an energy in one of the eleven dimensions of string theory. We can't measure this or know anything about it, except that it provides permanent optimum life-giving frequencies for the human energy system and creates a field that filters out unwanted energies. How this is known about something that can't be measured is not explained. 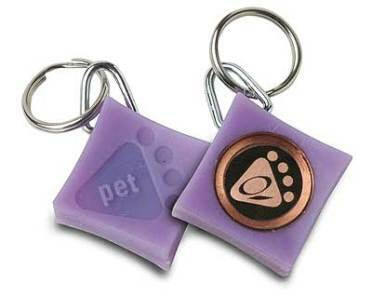 For those who wish to feel especially energized, you can get a Q-Link for your pet. For those who are wondering why these people aren't in jail, see my essay on why woo-woo wins. Personally, if I wanted to reduce stress and increase energy, I'd diet, exercise, meditate, and take up needlepoint. I'd also turn off my television and quit reading the newspaper. For the record, the Q-Link should not be confused with the Q-Ray. See also magical thinking, placebo effect, placebo jewelry, post hoc fallacy, regressive fallacy, and testimonials. Levine, Robert. The Power of Persuasion - How We're Bought and Sold (John Wiley & Sons 2003). Steiner, Robert A. Don't Get Taken! Bunco and Bunkum Exposed: How to Protect Yourself (Wide-Awake Books 1989).